Complete title: Think Social! A Social Thinking Curriculum for School-Age Students for Teaching Social Thinking and Related Social Skills to Students with High Funtioning Autism, Asperger Syndrome, PDD-NOS, ADHD, Nonverbal Learning Disability, and for All Others in the Murky Gray Area of Social Thinking. 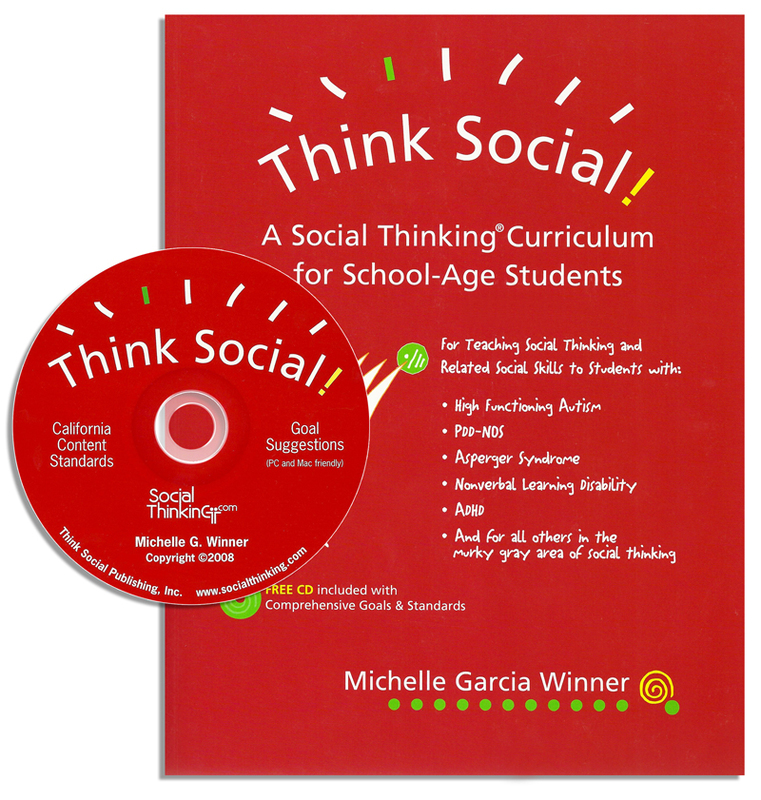 A core Social Thinking curriculum-based book provides step-by-step methods for teaching social-cognitive and -communicative skills to students who have these challenges that affect their school and home life. Demonstrates how to develop a social thinking vocabulary and through more than 100 lessons, teach pivotal social thinking skills. Kit contains book and CD. Complements the book Thinking About YOU Thinking About ME (95741).